Today’s historical photo looks upon 4th and Market Streets way back in 1876, just a decade after the Civil War. 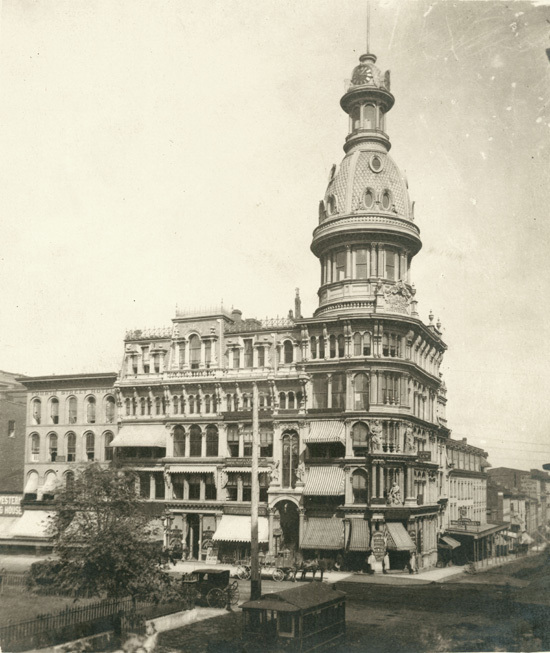 This gaudy McLean Tower Building stood at this corner from 1874 until 1901, when it was replaced by an office building. Today, it’s the newly made over Luther Ely Smith Square, a green space that leads to the new park over the highway. Incidentally, starting Monday afternoon, visitors will be able to enter the national park by crossing over the new highway bridge for the first time. It is used to ease pain in muscles or joints and bones. Believe it or not, the stuff is still being sold. Apparently, the product has a fanbase judging from Amazon.